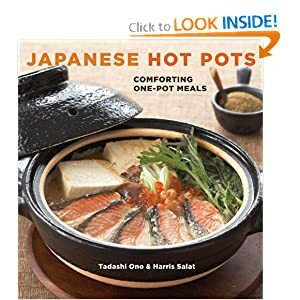 Try this lovely Japanese hotpot dish recipe for Beef Shabu Shabu. 1. Fill a deep electric pan or a medium skillet two-thirds full with water. 2. Soak kombu in the water for 30 minutes. 3. Arrange the ingredients on a large plate. Set the electric pan, ingredients, and serving bowls with dipping sauce at the table. 4. Heat the water and remove the kombu just before the water comes to a boil. 5. Put a slice of beef in the boiling soup and swish it gently for a few seconds. 6. Eat the meat, dipping in the sauce. 7. Skim off any foam or impurities (aku) that rise to the surface as you repeat cooking and eating meat. 8. Add other ingredients in the boiling soup and simmer for a few minutes. Eat them dipping inthe sauce as well. There are no nutritional values recorded for this Beef Shabu Shabu recipe.